Clifton (Cliff) Johnson was born June 13, 1935, in Atchison to Fred and Esther (Hall) Johnson. Cliff had two brothers, Tom and Fred Jr., and two sisters, Catherine and Virginia. Cliff attended Atchison High School. 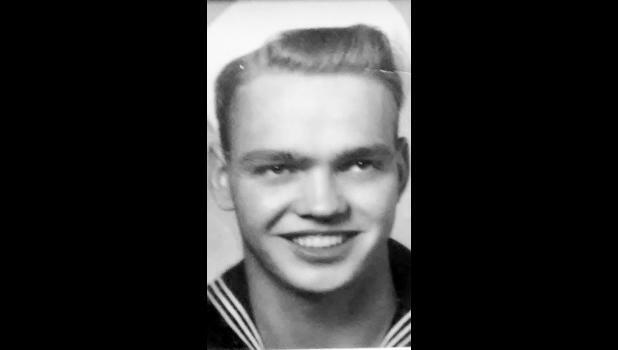 He enlisted in the Navy in 1952 and retired in 1973. He served 21 years, one month and 21 days. Cliff wed Betty Jean Fitzgerald on Aug. 1, 1954, at Farmington Christian Church in Farmington. Cliff and Betty raised eight children: Cheryl Sanders (Nortonville), Cindy Edwards (Nortonville), Patty and Roger Mosby (Horton), Brenda Foster (Nortonville), Bob Johnson (Nortonville), Mickey and Sheila Johnson (Nortonville), Liz and Edward Rostetter (Circleville), and Kathy Johnson (White Bear Lake, Minn.). During his naval career, Cliff served on the following Naval vessels: U.S.S. Cabildo (LSD-16), U.S.S. West Milton (ARD-7), U.S.S. Nitro (AE-23), U.S.S. Renville (APA-227), U.S.S. Dixie (AD-14), U.S.S. Samuel Gompers (AD-37) and U.S.S. Klondike (AR-22). Cliff and Betty moved to Nortonville in 1971. He resided in the same house until his death on June 12, 2018. Cliff was preceded in death by his parents, Fred and Esther Johnson; his siblings; his wife, Betty, his daughter, Brenda; two of his granddaughters; one grandson; and one great-grandson. He is survived by seven children, 28 grandchildren, 37 great-grandchildren (soon to be 39) and five great-great-grandchildren. Funeral services were held Friday, June 15 at Nortonville-Pleasant Grove Christian Church. Cremation followed the funeral service and burial will be held in Evergreen Cemetery, Effingham, at a later date.